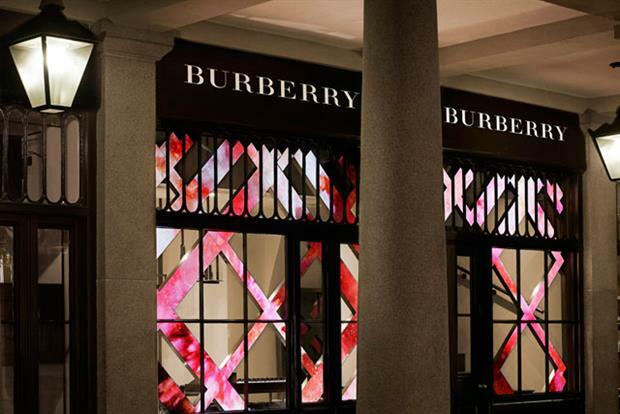 The London Stock Exchange has traditionally been dominated by strongly branded businesses like Burberry, SABMiller and Reckitt Benckiser, but that might be about to come to an end. There has been a significant decrease in investors looking to purchase brand-focused businesses in the last 10 years, a new report has revealed. The 'Brand Britain' analysis from Markables, a trademark valuation firm, argues that in a digitised world, strong customer relationships are now more valuable to investors than a strong brand. Ten years ago brands were the single most important asset in takeovers in the UK. In 2005, brand value comprised 25% of total enterprise value. That figure fell to 13% in 2014. During the same period the value of customer relations increased from 12% to 24%. A brand-centric businesses is one where brand is considered the single most important asset. These type of businesses include food and beverage brands, retailers, fashion brands and restaurants. Consumer-centric businesses are recognised as having more direct relations and interactions with customers. Digitisation has meant this relationship has gone far beyond traditional direct marketing as more customers are known in person and can be reached directly. Consumers are also becoming more sophisticated and have become used to deciding for themselves when and how to take information on brands. The report said they are suffering from "message overflow" spending more time online, reading much less printed media and are less attentive to TV advertising. According to Chrisof Binder, managing partner of Markables parent Trademark Comparables AG, the developments have seen a shift in the value drivers and value creation for marketing. "With the tools we have today in marketing it is easier to drive an increase value on customers than on brands," he said. "That is why investors today look for businesses that incorporate more such direct customers relations than anonymous brands relations with their customers." He said that while there is currently no decrease in brand value it is only a "matter of time" before this starts to decline. "It will have an effect on values, prices and purchase considerations over time," he added. Binder also argued that purely national British brands are not so attractive for investors due to the fact the British market is mature, with little room for growth. But there is a demand for branded businesses based in the UK if they have a Britishness which is successful internationally. The report highlights the five most brand portfolios acquired in the UK which were all from foreign investors. These included Cadbury (by Kraft in 2010), Allied Domecq (by Pernod Ricard in 2005), large parts of Scottish & Newcastle (by Carlsberg in 2008), Alliance Boots (by Walgreen in 2014) and Gallaher (by Japan Tobacco in 2007). It says the rationale behind all of these acquisitions was their strong brands but also their important international revenue base. The report also advised brand owners to intensify direct communication and sales with end consumers and reduce their dependence from sales intermediaries. The analysis is based on the Markables database, which lists over 8,200 M&A transactions worldwide.